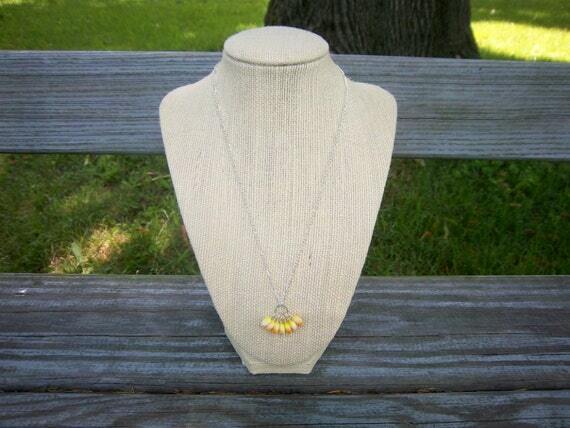 A beautiful silver chain necklace featuring a handmade pendant. Strung on the large ring are a cluster of hurricane glass candy corn colored hearts of yellow, orange, and white. Each heart is different and no two are alike! Only one necklace available! Pendant with Wood inlay and silver plated.